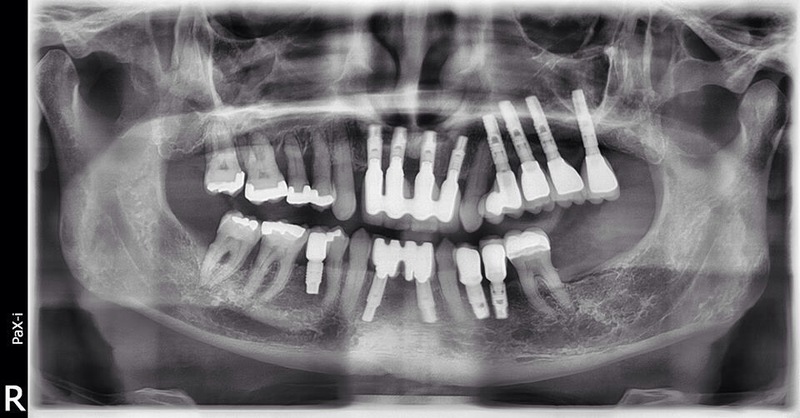 This x ray demonstrates a complex case. The treatment has taken some years to reach this point with the upper right quadrant remaining. This is a very common scenario where complex, lengthy or expensive treatment is carries out in stages.